Dr. Henry Cloud, bestselling author of the Boundaries series, offers a life-changing book that provides ten strategies for overcoming self-defeating life patterns that will help you redirect your mistakes and make way for success—physically, personally, and spiritually. Everyone makes mistakes, big and small. Sometimes our mistakes take us down the wrong path and send us spiraling into destructive life patterns, and sometimes we learn our lesson and never make the same mistake again. But how? How do we recognize destructive patterns, make new choices, and then follow through? In Never Go Back, bestselling author Dr. Henry Cloud shares ten doorways to success—and once we walk through these new pathways, we never go back again. His proven method—based on grace, not guilt—outlines ten common life patterns that sabotage success and lays out clear, concrete steps you can take to overcome them. You’ll see your relationships flourish, your personal life enhanced, and your faith strengthened. Dr. Cloud’s powerful message reveals doorways to understanding—once you enter them, you will get from where you were to where you want to be. With a winning combination of eternal principles, spiritual wisdom, and modern scientific data, Never Go Back will put your heart in the right place with yourself and with God. This reading group guide for Never Go Back includes an introduction and discussion questions for your book club. The suggested questions are intended to help your reading group find new and interesting angles and topics for your discussion. We hope that these ideas will enrich your conversation and increase your enjoyment of the book. There is a reason New Year’s resolutions go unfulfilled. In this life-changing book, Dr. Henry Cloud unveils ten common mistakes that sabotage success and lays out clear, concrete steps for overcoming them. 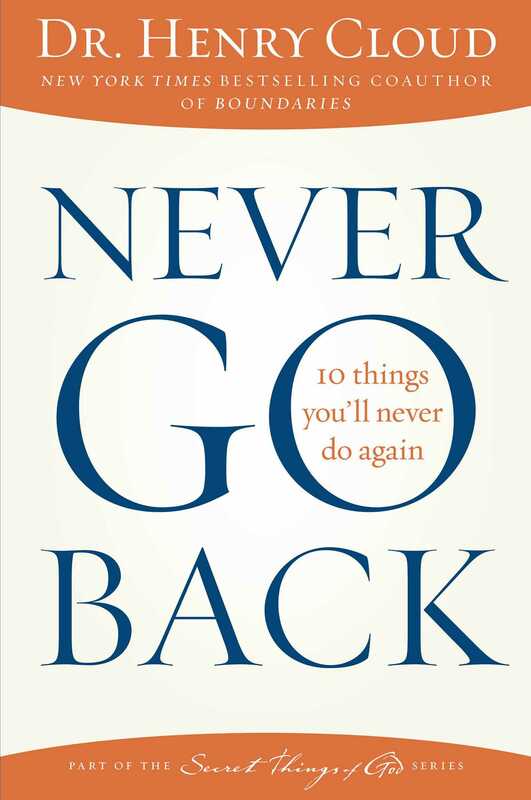 Combining eternal principles, spiritual wisdom, and modern scientific data, Never Go Back offers readers the guidance and inspiration they need to chart a lasting course for success in all aspects of their lives. 1. For the person who selected Never Go Back for discussion, why did you choose this book? Why did talking about it with a group appeal to you more than reading it on your own? 2. Throughout Never Go Back, Dr. Cloud shares personal stories and anecdotes about his own experiences, struggles, and triumphs. In what ways did this enhance your reading of the book and your understanding of the principles? 3. In the Preface, Dr. Cloud asks readers to keep an open mind about the fusion of biblical wisdom and scientific data that supports his principles for success. Where are you on the faith spectrum? What benefits do you see in this approach? 4. Read over the list of ten principles outlined on pages 8–9. Which of these will be the most challenging for you never to do again, and which do you feel confident you can more easily overcome? 5. Successful people never return to what hasn’t worked, but they do embrace second chances. What has to happen in order for a second chance to be effective? “Hope without realistic reasons to believe is not hope at all. It is only a ‘wish,’” explains Dr. Cloud (page 16). What measurement does God give us to tell the difference between a hope and a wish? 6. Why does Dr. Cloud advise against doing anything that requires you to be someone you’re not? What questions should you ask yourself when considering forming a partnership, entering a personal relationship, or getting involved in a new activity or endeavor? 7. Just as you shouldn’t try to be someone you’re not, you shouldn’t try to change another person. How does recognizing and accepting this contribute to your own personal growth and success? What relationships in your life would you like to change and how might you go about doing it? 8. In chapter 4, Dr. Cloud presents two Christian leaders and their reactions to criticism. Discuss the differences in their approaches, including the ramifications of trying to please others versus trying to please God. How do these examples illustrate the principle that successful people cannot—and should not—strive to please everyone? 9. Successful people do not choose short-term comfort over long-term benefit and willingly undergo periods of pain to achieve what they desire. What challenges have you overcome to attain something greater? Conversely, are there any painful situations you’re avoiding that are impeding your personal or professional growth? If so, what are they? 10. Dr. Cloud cautions against buying into “the Hollywood version of perfection or even the church version” (page 108). Although it might seem counterintuitive, a perfect façade doesn’t equal success. Why should you never trust someone who hasn’t failed at some point in their life? What are the indicators that someone is “good and real” rather than “perfect and ideal”? Share about people you’ve known (without using names) who exemplify these two approaches. 11. Human brains are wired with the capacity to see the long term—the big picture—even when we’re mired in small moments. In what ways does adopting this mindset have the power to change how we feel, act, and learn? Of the ten principles Dr. Cloud outlines, where does this one rank in terms of importance? 12. In chapter 8, what was your reaction to the woman determined to move cities to be with a man she’d known for only two months, taking her young daughter with her? What are the potential costs of making such a rash decision? Why does what we think we need often determine what we see? Why is doing due diligence critical to long-term success? 13. In adverse situations, successful people ask themselves what part they might be playing even if they’re not at fault. Why are these important learning opportunities? What does the passage from James 1:2–5 (page 163) illustrate about learning from challenging circumstances and not adopting a victim mentality? 14. Do you agree with Dr. Cloud that life works “inside out,” the idea that internal conditions, not external factors, are the greater determiner of overall well-being and happiness? Why or why not? In what ways does spiritual health provide direction and help with prioritizing our lives? 15. In part two of the book, Dr. Cloud offers strategies and tips for putting the principles he outlines into action. Have you begun charting a path to success using these tactics? If so, what have been the results? 16. What are your overall thoughts about Never Go Back? In what ways has the book led you to re-evaluate your life? What “never-go-back” is first on your list to deal with? Dr. Henry Cloud has written or cowritten more than twenty books, including the bestselling Boundaries series. His books have sold more than ten million copies. Dr. Cloud has appeared on numerous radio and TV broadcasts, including ABC News, PBS, and FOX News, and has been featured or reviewed in the Los Angeles Times, The New York Times, The Boston Globe, and others. 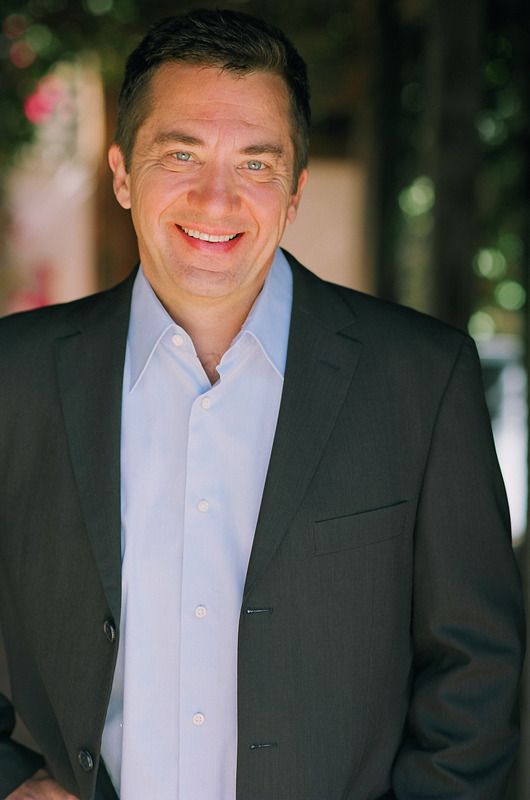 He is a frequent speaker on such topics as leadership, relationships, and personal growth both nationally and internationally. Dr. Cloud is an avid golfer and enjoys boating, deep-sea fishing, and scuba diving, and he lives in Los Angeles with his wife and two daughters.